In the century since its founding, Harvard Business School has become the single most influential institution in global business. Twenty percent of the CEOs of Fortune 500 companies are HBS graduates, as are many of our savviest entrepreneurs (e.g., Michael Bloomberg) and canniest felons (e.g., Jeffrey Skilling). The top investment banks and brokerage houses routinely send their brightest young stars to HBS to groom them for future power. 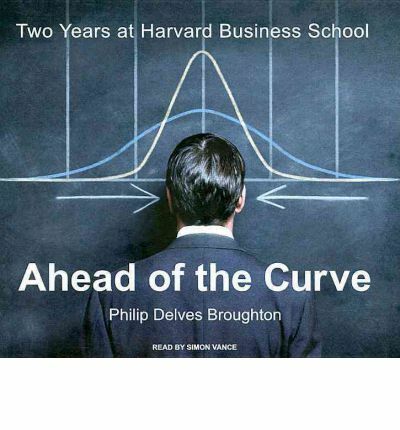 To these people and many others, a Harvard MBA is a golden ticket to the Olympian heights of American business.In 2004, Philip Delves Broughton abandoned a post as Paris bureau chief of the London Daily Telegraph to join 900 other would-be tycoons on HBS's plush campus. Over the next two years, he and his classmates would be inundated with the best-and the rest-of American business culture, which HBS epitomizes. The core of the school's curriculum is the "case"-an analysis of a real business situation, from which the students must, with a professor's guidance, tease lessons. Broughton studied over 500 cases and recounts the most revelatory ones here. He also learns the surprising pleasures of accounting, the allure of "beta," the ingenious chicanery of leveraging, and innumerable other hidden workings of the business world, all of which he limns with a wry clarity reminiscent of Liar's Poker. He also exposes the less savory trappings of business school culture, from the "booze luge" to the pandemic obsession with PowerPoint to the specter of depression, which stalks too many overburdened students. With acute and often uproarious candor, he assesses the school's success at teaching the traits it extols as most important in business-leadership, decisiveness, ethical behavior, and work/life balance.Published during the 100th anniversary of Harvard Business School, Ahead of the Curve offers a richly detailed and revealing you-are-there account of the institution that has, for good or ill, made American business what it is today. About the Author: Philip Delves Broughton was born in Bangladesh and grew up in England. From 1998 to 2004, he served successively as the New York and Paris bureau chief for the "Daily Telegraph" of London and reported widely from North and South America, Europe, and Africa. He led the "Telegraph"as coverage of the 9/11 attacks on New York and his reporting has twice been nominated for the British Press Award. His work has also appeared in the "Financial Times, The Wall Street Journal, The Times of London," and "Spectator," In 2006, he received an MBA from Harvard Business School.Simon Vance is a prolific and popular audiobook narrator and actor with several hundred audiobooks to his credit. An Audie(R) Award-winner, Vance was recently named "The Voice of Choice" by "Booklist" magazine.